They say good things come in threes and they certainly have at Avant PR as we’ve been appointed by a terrific trio of brands. Hot!MeSS has tasked Avant PR with launching the brand to press and celebrities alike. Its unique, fun and quirky unisex collection lends itself to statement looks, which we’re sure everybody’s going to love! Speaking of statement, stunning jewellery brand Adorning Ava has joined Avant PR, looking for a press campaign with an impact – and with its fabulous products, it’s bound to have one. 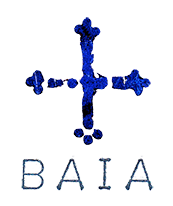 Last but certainly not least, Baia is looking to launch to press with Avant PR. Creating gorgeous, catwalk inspired handmade handbags, Baia offers classic style, yet can be made in the customer’s colour way of choice, with 11 different colours and materials to choose from. We’re eyeing up the pony skin – so AW13! Check them all out now at www.hot-mess.co.uk, www.adorningava.com and www.baiabags.co.uk.